BTW, were there any red fibre washers on the screws holding the CL taps onto the fuel tanks? Yes - I need to get a load of red fibre washers and some new screws for mounting the taps. I wish they'd done something similar with the wavy washer under the tap lever. You could buy 50 of the nearest size (which doesn't fit) for the price of one Honda one. 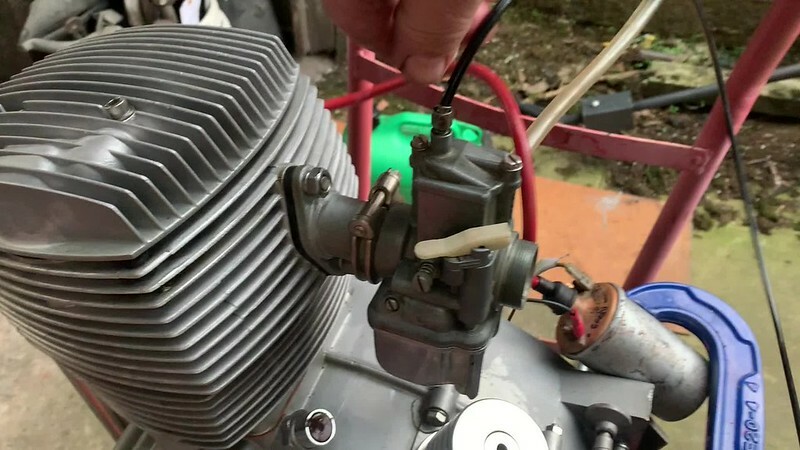 I finally got around to firing up the 'big bore' Gilera engine after getting it on the test stand. It needed a little tweaking of the ignition timing and priming the oil pump which appeared to be air-locked. Good fun isn't it G, especially when it fires after all that time. Very satisfying.